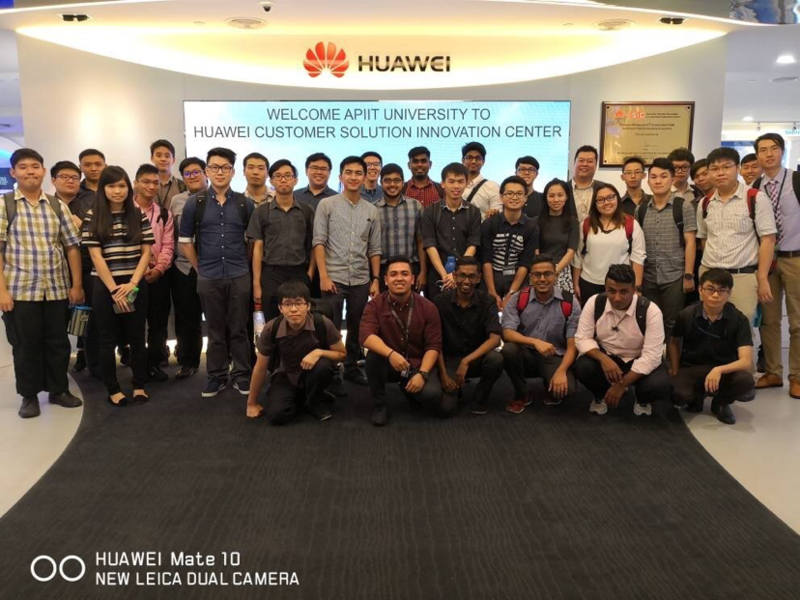 Thirty APU students visited Huawei Customer Solution Innovation & Integration Experience Center (CSIC) on 6th December 2017. This visit opened up the doors for IT students to learn more about the current trends and latest development in ICT field. Huawei Channel Manager, Mr. Eric Yue Khang Beng showed the students the 17 sections of the 13,000-square feet center, which was Huawei’s second ICT hub in Malaysia since 2015. The three hours visit benefited the students by briefing them on its cloud storage technology, various IoT solutions, smart cities implementations, and its co-operations with other sectors to bring convenience to their customers.